A living room is the very heart of a home: a place of rest and relaxation, and a sanctuary from the stresses of everyday life. Having a living room that is both welcoming and cosy, and a place where you feel comfortable and warm, is very important. With the right approach to the colour scheme, furnishings and the textures of your living room, as well as some neat extra touches, it is possible to create the perfect haven in which you and your family can unwind and enjoy spending time together. Here are some style ideas for creating a warm and welcoming living room. Colour has an extremely powerful influence on mood and we are all sensitive to the effects of a well-planned colour scheme. When it comes to making your living room a cosy space, walls that use rich colours like mulberry and burgundy can provide the perfect backdrop for your soft furnishings and decor. Another option is to use fairly pale, neutral colours like pastel shades, as these can induce a sense of calm and relaxation. Large pieces of furniture for living rooms such as a deep seated armchair or sofa are essential for creating a cosy atmosphere, as well as for snuggling. To maximise the cosseted effect, use upholstered furniture with deep buttoning – a luxurious style that feels as good as it looks. For the ultimate in relaxation, it pays to choose furniture items that are designed to make life as comfortable as possible. 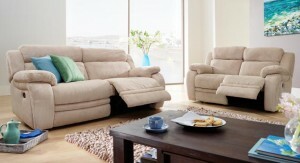 Recliner sofas are an excellent option for anyone who wants maximum comfort at the touch of a button. You can add to your furniture’s cosy appearance by keeping items positioned close together, giving the seating arrangement a warm and intimate feel. The very best reclining sofa and the perfect blend of colours will help to make your living room a welcoming and cosy space, but there is still plenty more you can do to create a sense of warmth and intimacy. An open fire or a wood burning stove can provide a perfect focal point in a living room – able to draw you in, and evoking an unmatchable feeling of cosiness. Having a fairly low-key and non-intrusive audio-visual set up can also help to foster an easy-going atmosphere; a giant black screen at one end of the room does little to nurture a sense of welcoming charm. When it comes to creating a cosy interior design, shape and texture are just as important as colours and furnishings. 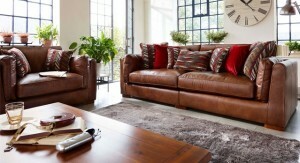 Soft carpets, thick curtains and squashy cushions all have a role to play in making a living room seem more welcoming. Wooden floorboards that have a scrubbed appearance can also have a warm effect – just add a large and luxurious rug to complete the look. Otherwise, linens, matt paint and aged teak are also textures that can used to great effect in welcoming interior spaces. The important thing is to use simple elements throughout, and resist the temptation to cram your living room with too many cushions and soft furnishings. 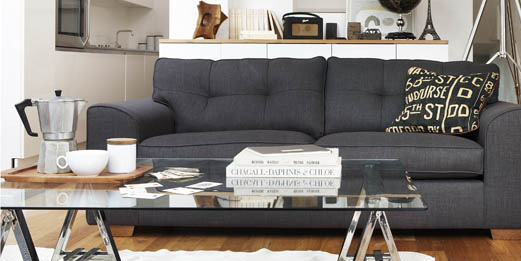 Keep it simple, relaxed and comforting and your living room design is sure to achieve that cosy, cocoon-like effect. 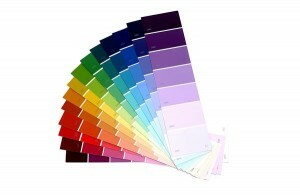 Categories: Furniture, Home Improvement, Interior Design, Shopping.